It’s no secret that Evan Longoria has been less than a shining success since he joined the Giants. He suffered a setback in the form of a broken hand early in the season, and finished one of his worst years ever. Longoria tied his career-low batting average of .244, played the third-fewest games of his 11-year career (125 games), hit the fewest home runs in his career (16 home runs, although the newly-named Oracle Park may have factored into that) and had the lowest on-base percentage in his career (.281). On top of that abysmal first year with the Giants, Longoria brought with him one of the most torturous contracts in baseball. Longoria is due to make $14.5 million next season, $15 million in 2020, $18.5 million in 2021 and $19.5 million in 2022. He also has a $13 million team option in 2023, which you would assume would be declined. It’s also important to note that his contract has $2 million deferred in each of the years from next through 2022 by the Tampa Bay Rays, meaning the Giants will pay $58 million through 2022. He’s also due a $2 million bonus if he’s traded. Still, Longoria’s bloated, and more importantly, extended contract, is something the Giants would understandably like to depart from if possible. According to Jon Heyman, the Giants are reportedly “gauging interest” in Longoria. Whether that comes to fruition, however, is an ultimately different story. 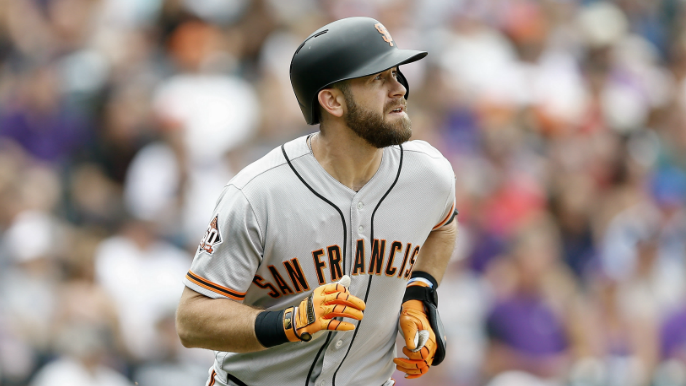 Word going around is, #SFGiants have been gauging trade interest in Evan Longoria. Rivals believe it would take big bucks to offset his contract to move him. Has $72.5M to go through 2022 plus $2M assignment bonus if traded (Tampa Bay chipped in $14.5M to trade him last year).